Wash the rice, drain it and keep it aside. Heat butter in a heavy bottomed pan and add cloves, cardamom and cinnamon and saute well. Add drained rice and fry for 5-6 minutes in medium flame. Add whole pepper and mix well. Then add turmeric powder and chilli powder and mix well. Add boiled water and salt, lower the heat and cook covered for 10 minutes. Add chopped capsicum and stir well. Cover and cook for another 5 minutes in low flame..Serve hot..
Really Looks healthy and delicious.. 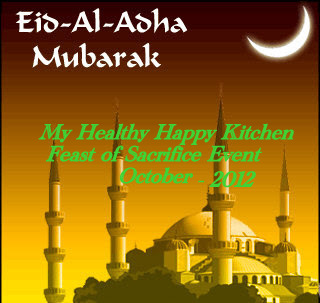 Thanks for linking this recipe to my event. so easy and yum..love your plate. Fantastic capsicum rice. Yummy and very comforting dear. Flavorful meal.. perfect for get together.. 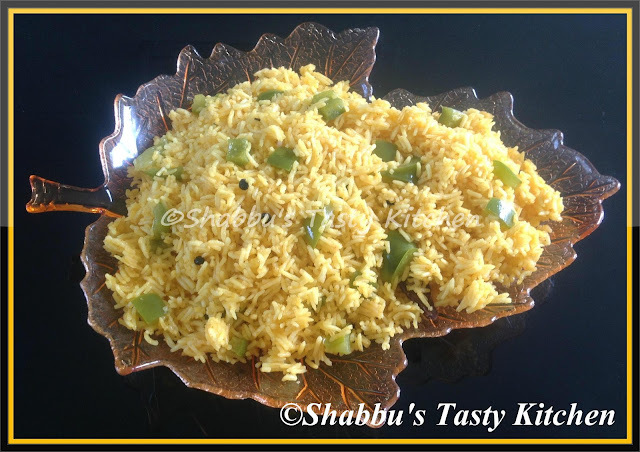 Delicious and healthy capsicum rice Love it. Delicious one pot meal.. Very inviting. The pure basmati rice dish looks very yummy! I'm going to try cooking it, but I guess it won't be that beautiful!